These articles for writers and editors help you manage your workflow, stay motivated, understand possibilities, and find solutions to common problems. I’m always saying how hard it is to proofread our own writing. But there are those situations where we need to do it. How can we increase our accuracy? In WQ, the magazine of the Queensland Writers Centre, I read an intriguing article about the brain science behind this thorny problem… and some possible solutions! Writers festivals and conferences are great places for us to get inspiration and education, and make connections with writers and other people who can help us in our projects. 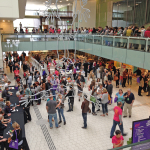 This year, I got much more out of my local writers festival than I have in the past. I’ve made a list of the things I did differently, so that it might be useful for you, too. Writing a book? Go for it. Are you writing a book? Wishing you could write a book? Go for it. Live dangerously. 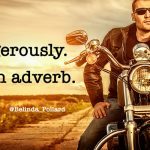 Use an adverb. Do you ever feel intimidated by writing advice, and pushed in a direction you don’t really want to go? Time to rebel. The subject of today’s literary disobedience is the Adverb. I’d like to reclaim this despised part of speech, on behalf of sane writers everywhere. The internet is awash with Adverb Hate. And the worst part of it is the way it confuses some writers, who end up thinking they are never allowed to use an adverb anywhere ever again. I’m an editor, but also a writer. 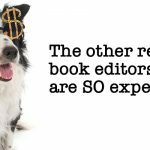 This is the second in my series on why book editing costs so much! 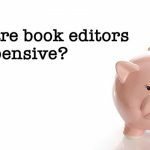 Why are book editors so expensive?? I’m an editor. But I’m also a writer. I hire editors for my own projects, out of my own funds, and it hurts! Why are editors so expensive? Roll up! Roll up! 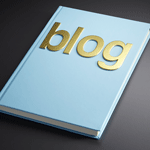 Make a book from your blog today in ten minutes and sell it to naive readers! Creating a book from your blog is a fantastic idea… but I wish there weren’t so many “gurus” luring writers into creating poor-quality books that may damage their careers, on the chance of making a quick buck. Beta readers are those wonderful people (often volunteers) who read and critique the manuscripts of our books. Chosen carefully, briefed effectively and “heard” with discernment, I regard them as the superheroes of self-publishing. They can provide forms of editing – especially in the developmental stages of a book – that many self-publishers miss out on. 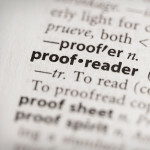 Traditionally-published writers need beta readers, too. You’ll find that most successful authors have at least one and often a team of them, whether they are other writers, editors, or trusted advisors who read their work before it reaches the publisher. Last time in our beta reader series, we talked about a wise general approach to briefing a beta reader. This time, let’s look at some tips for the logistical side of your briefing. Writing that gives us insight into the writer’s life and emotions makes a personal story come alive. 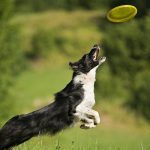 And the techniques we learn from releasing our own stories can be used in a variety of writing situations and genres: memoir, self-help, how-to, anecdotes for a variety of non-fiction projects, blogging and even fiction. In Exercise 1: Time Travel we used introspective methods to extract life and colour from our memories. Exercise 2: The Interview is a completely different approach. This time, you ask someone to assist you by asking questions, and you record the conversation for later review. It’s similar to techniques I’ve used myself a number of times over the years, when helping authors bring a dry or incomplete story to life. 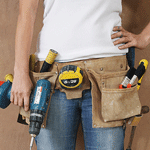 Check out these “interview” tips, to see if they could help you with your story.